BS EN 12600 has now superseded BS 6206 as a European wide performance standard for impact safety for glass.Developed to be a more ‘modern’ test it provides much the same performance levels as BS6206 (see below). 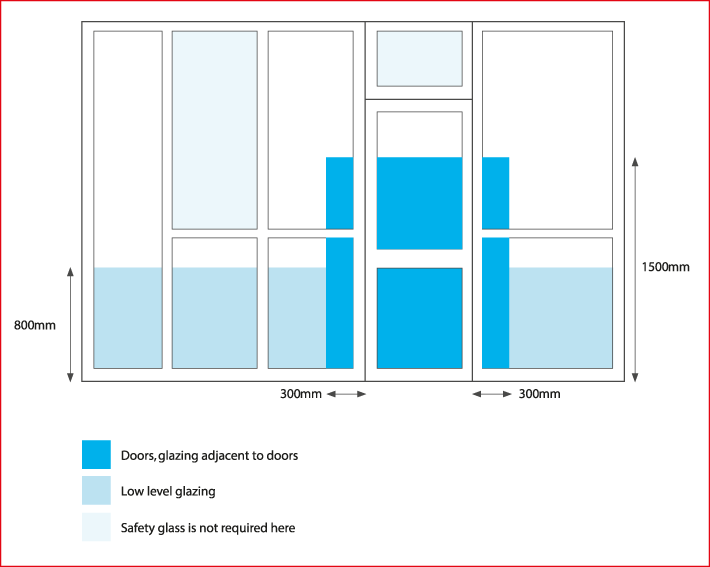 In order for glass to be classified as impact safe it is subjected to this Safety Standard Test. The safety test will define the level at which glass will “break safe”. A weight is dropped from three heights on to a a standard sized pane of glass. The glass is classified at the point in which it breaks. The standard defines three drop heights: 190mm, 450mm, 1200mm. This is considered equivalent to an adult pushing hard against the glass or a child running into it. This is considerd equivalent to more than an adult walking into a glass door, however, less than a determined attempt to force a way through by running at it. This is to test glass for critical applications.Type B breakage is the typical breakage mode for glass with a safety film applied or laminated glass as it relates to the fragments of glass being held together by the film or laminate.